Free shuttle to the beach. No more searching for a parking space at the beach. To fully enjoy the beach, you can take the free shuttle to the beach, leaving from Camping Le Chaponnet! It’s easy end FREE !! The shuttle leaves from exit n°2 on the campsite and takes you to Plage des Dunes 2. The Plage des Dunes is a lifeguarded beach with surfing and kite surfing areas, disabled access with the Tiralo water seat, surfing school and material on site. Yelloh Village Le Chaponnet sets in the centre of a calm village, surrounded by a variety of nature. During your stay, you can choose from hiking or cycling through the vineyards of Brem, the marshes, the state forest and the unspoiled dune that runs along the beach; plenty of amazing landscapes of the Vendée, within a range of 3 km around the campsite. A holiday without using your car; it is possible! The village of Brem offers all the shops you need on a daily basis: a LIDL supermarket, bakery, tobacconist’s, post office, local products, hair dresser, beauty salon, tourist information office, pharmacy… All of it at less than 500 m from the campsite. Looking to visit around ? 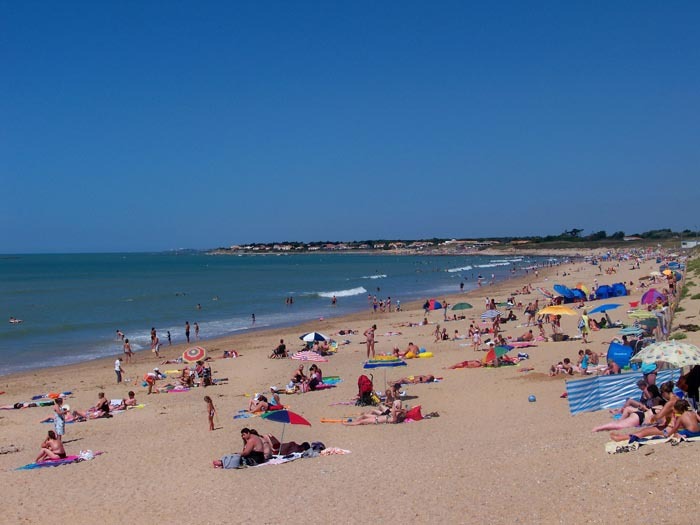 The beach resorts Les Sables d’Olonne and Saint Gilles Croix de Vie set at just 20 minutes driving.